How does the VisiPlus People Counting system by Checkpoint Systems work? The complete report typically is formatted to be the finished product of all of the data that is collected. This raw data is created in a comma-delimited file that can be integrated into other data that is collected form sales, payroll, and other related information. These two types of reports are then automatically sent to you on a scheduled basis. Data is bi-directional and is categorized by hour of the day and day of the week so that an accurate picture of customer traffic is created. Many retailers do not utilize the customer exit data; however, it is made available if you have the need to determine which entrances or exits customers are using. From a cost standpoint, VisiPlus is extremely cost effective to use. 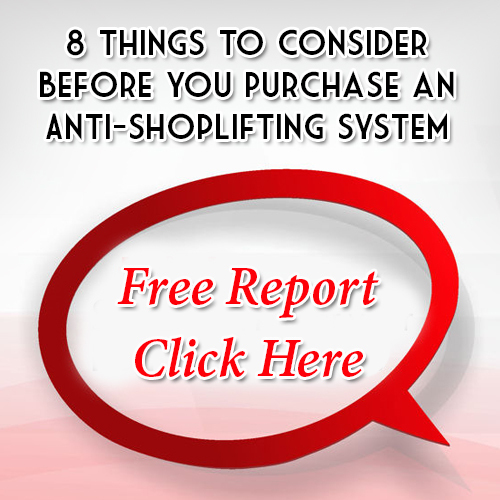 Loss Prevention Systems charges you a low flat annual fee for each store that has the system. Additionally, the fee covers the entire store location even if it has multiple entrances and exits. If you would like to see samples of the VisiPlus reports, contact us for additional information. Loss Prevention Systems, Inc. is known as the top national seller inside the U. S. for Checkpoint Solutions and Alpha High Theft Solutions. We have nationwide customers, equipment, along with service. Loss Prevention Systems offers more than retail loss prevention devices. The knowledge of retail industry loss prevention allows LPSI to supply real world training and strategies. Eliminate theft today with Loss Prevention Systems (LPSI), Checkpoint, and Alpha Systems solutions! For additional info on VisiPlus People Counting, go to our website located at www.LossPreventionsystems.com or call (866) 914-2567.